The S&P/ASX 200 has risen over the past month on the back of a strong month for international equity markets. Despite rising, the Australian equity market remains an underperformer, rising about 1%. The US S&P 500 index continues to hit new highs, up about 2% over the month along with the European Index. Overall, investors continue to pay up for risk assets on the back of a continued ‘Goldilocks’ growth environment. Meanwhile, defensive assets have started to turn. Bond yields rose over the past few weeks as the US Federal Reserve continues to stick to its forecast for another hike by the end of this year and three next year alongside their Quantitative Tightening program which starts this month. Along with the US led rise in bond yields, Trump has shifted his focus back to the possibility of US tax cuts which led to a strengthening of the US dollar. The Australian Dollar fell by two cents over the month to trade around USD 0.78. The US quarterly reporting season is set to be another driver for equity markets this month, with another quarter of strong earnings growth expected. Following several months of strong employment data, the Australian consumer has finally shown some positivity, with sentiment up 3.6%. However, consumer sentiment indicators are highly volatile and does not necessarily lead to consumers opening their wallets. Retail sales exhibited this disconnect, falling 0.6% in August as wage growth remains weak and debt continues to climb. The Australian Bureau of Statistics released updated figures estimating that Australians on average, Australians continue to borrow more and now have 193% debt relative to income. There is a visible disconnect with Australia and the rest of the world in terms of the economic cycle. While the US, Europe and most of the rest of the world have seen GDP growth accelerate over the past year, Australia’s GDP has slowed. The US posted a strong 3.1% GDP growth for the June quarter. This strong growth environment looks set to continue as manufacturing and services indicators continue to comfortably indicate continued expansion. The US also posted stronger than expected wage growth in September, with average hourly earnings rising 0.5% month on month as the US employment market firmed, with unemployment rate dropping to 4.2% from 4.4%, although the headline results were weak, with jobs falling by 33,000 due to an extremely bad hurricane season. In politics, Donald Trump and the US Congress has shifted its focus to tax reforms, which boosted sentiment as hopes for broad-based tax cuts to be enacted, potentially boosting the economy. The market also continues to speculate heavily on the replacement for Janet Yellen as the Federal Reserve’s Chair as it could potentially impact the plans for US rate hikes. As Haydn Scott from PIMCO touched on in the investment video this month, fixed income is an important part of any investor’s armoury. Fixed income can serve several different purposes such as generating a consistent flow of income, providing defensive exposure and portfolio diversification. Generally, equities do not provide a steady cashflow to investors. Equities tend to pay dividends as earnings allow, and generally on a semi-annual or annual basis. For those seeking a more stable flow of income, fixed income allows investors to understand the cash flows that they can expect to receive at the time of investment. This can be useful for investors to plan expense requirements such as funding a pension. The fixed income asset class is generally less volatile than equities given the expected cash flows are more predictable. This can be useful in protecting capital when investor sentiment is weak or bearish, and can then be used to invest in risky assets once the investor believes that the risky assets have fallen far enough to be considered cheap. It has long been said that the only free lunch with regards to investments is diversification. Diversification is the basis of modern portfolio theory which states that a well-diversified portfolio improves risk-adjusted returns. Fixed income assets generally have low or negative correlation to equities, and the lower the correlation, the better the diversification benefits. Therefore, regardless of what type of investor you are and what your objectives are, fixed income should always be a consideration for investment portfolios. 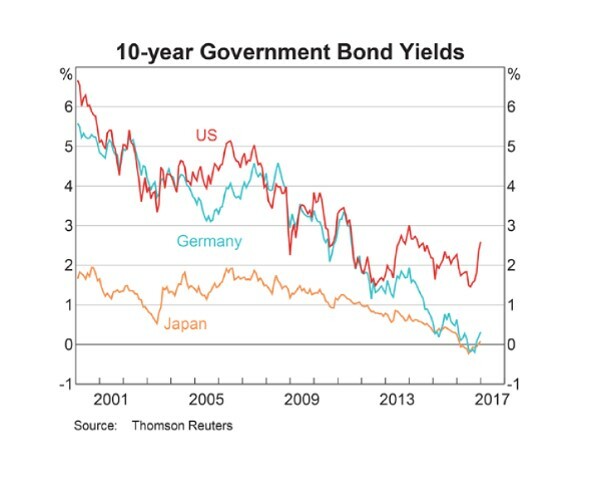 Fixed income has had a great tailwind of falling rates and quantitative easing for years but this tailwind looks to be reversing as the outlook for the future seems to be rising rates and quantitative tightening as global growth and inflation pressures pick up. In a rising rate environment, fixed income yields will likely rise while quantitative tightening means less demand. For traditional bonds, this means the potential for capital loss as these securities have fixed coupons and being priced on higher yields means lower capital value in order to match the market’s risk-reward appetite. However, the fixed income universe is vast, and despite the asset class’ name, fixed income assets do not always have fixed yields. While the fixed income universe includes fixed coupon government bonds, it also includes other income assets such as variable or floating rate corporate bonds, asset-backed and securitised loans, and inflation-linked securities. The coupons on some of these assets are linked to a benchmark, and therefore the coupon rates vary according to these benchmarks, meaning that for a floating rate corporate bond, the coupon it pays will rise as bond yields rise, and in the absence of other factors, a rising bond yield will not affect the capital value of these securities. Investors can also manage the risk of capital loss of fixed coupon bonds in a rising yield environment by managing the duration of their fixed income portfolio. Duration is a measure of the sensitivity of the portfolio to movements in yields, and is based on the size of coupon payments and time to maturity of a bond. Generally, a higher coupon rate or a shorter time to maturity leads to a lower duration. In a rising yield environment, a lower portfolio duration would reduce capital loss. If managed appropriately, fixed income portfolios can still provide good risk-adjusted returns in a rising yield environment despite capital losses, as the investor continues to receive income while re-investing capital into the higher yielding assets as other assets mature. Therefore, investors need to give consideration to how they are positioned within their fixed income portfolios but should continue to invest in the asset class despite the outlook of higher yields.